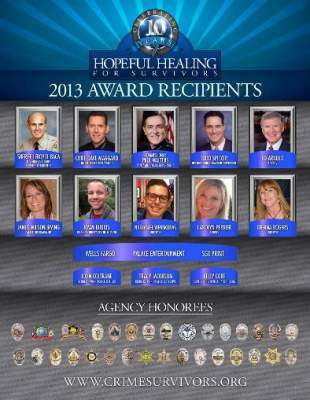 Santa Ana City Manager and Police Commissioner Paul Walters will be honored at the 2013 Crime Survivors Awards Banquet, which is set for Friday, April 26, 2013. Bringing awareness, prevention, and survival to all of the surrounding communities while offering resources and services to victims of crime. This event is also a fund-raising opportunity for Crime Survivors, Inc. to help support our programs. All proceeds raised by this event will go directly to programs for Crime Survivors. Click here to buy tickets or to find out how to sponsor this event.